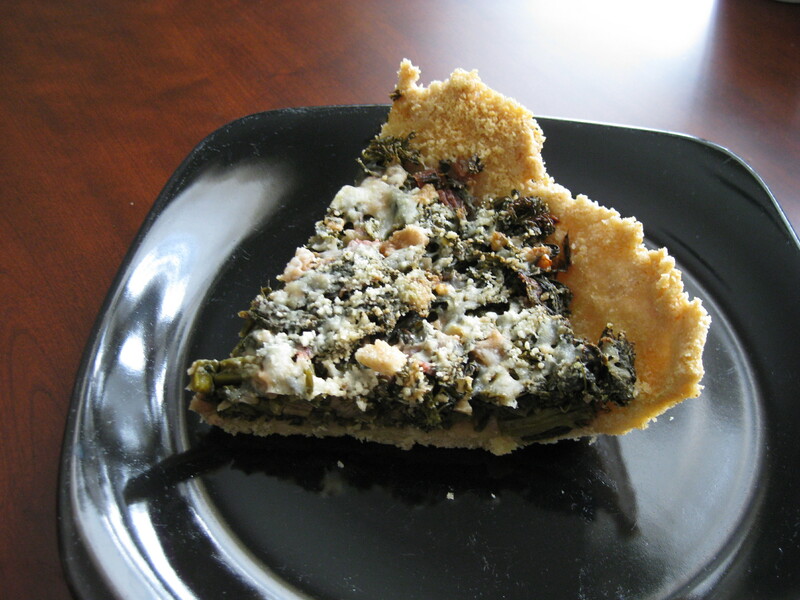 This is a great veggie pie you can make ahead and freeze. Bake from frozen by increasing cooking time by 15 minutes. Perfect with a fresh fruit salad. Add everything to a large skillet and saute over medium until veggies are tender. Set aside. Add flour, salt, and cheese to food processor. Pulse to grind cheese into flour. Slowly add oil. Pulse to make a fine crumb. Slowly add water to make dough come together. Press dough into pie plate. No need to roll out like traditional gluten dough. Add vegetable mixture. Sprinkle with 1/2 Cup parmesan cheese. Bake 350 degrees F for 40 minutes.